Dr. John Harlan graduated from the University of South Florida College of Medicine and did his residency at the University of Alabama Medical Center. He also did a fellowship at the University of Iowa Hospitals and Clinics. He is a board-certified thoracic and cardiac surgeon and currently practices at the St. Vincent’s East. Dr. John has also contributed to three clinical research papers and is a member of several organizations including American College of Cardiology, American College of Surgeons, Society of Thoracic Surgeons, Medical Association of the State of Alabama, and Jefferson County Medical Society. Dr. John Harlan has contributed to 3 publications. Innominate artery pseudoaneurysm presenting as a widened mediastinum. Halpin, D. P., Nicholson, J., Blakemore, W. S., Harlan, J. L.; J Thorac Cardiovasc Surg. 1995 Feb.
Coarctation of the aorta in infants. Harlan, J. L., Doty, D. B., Brandt, B., Ehrenhaft, J. L.; J Thorac Cardiovasc Surg. 1984 Dec.
Congenital aortic stenosis with hypoplasia of the left sinus of Valsalva. Anatomic reconstruction of the aortic root. 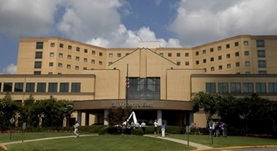 Harlan, J. L., Clark, E. B., Doty, D. B.; J Thorac Cardiovasc Surg. 1985 Feb 01.